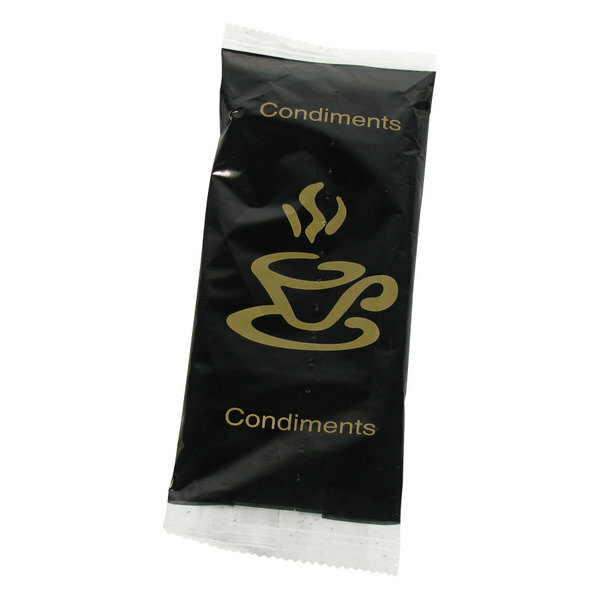 With twice as many ingredients to offer, this unique, economical hot beverage condiment kit is perfect for coffee service at your hotel, motel, extended-stay facility, or resort. Your guests will have everything they need to create and enjoy their favorite beverage, all in one extensive package. Whether it's an invigorating dark roast or a soothingly aromatic cup of tea, this kit gives your guests the ability to customize just about any hot beverage however they like it. 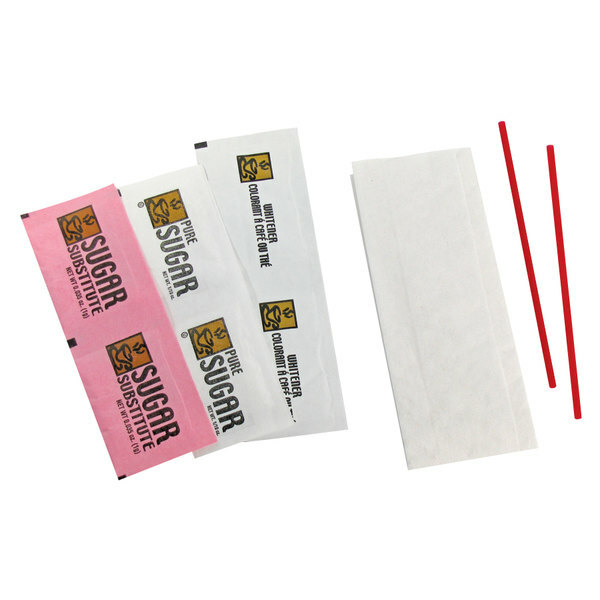 Each kit features an aesthetic black and gold design and is individually wrapped with plastic packaging, ensuring the components are sanitary and safe to use. Quickly preparing a delicious hot beverage has never been easier with this convenient kit. Perfect for guests who are crunched for time or just prefer the additional convenience, this kit eliminates the need to search for individual components, can easily be carried or stowed away for later use, and is an simple way to enhance your guests' experience.